First, the Reverend Richard Joyner got mad. Then he got a trowel. Sick and tired of seeing his congregation suffer from poor nutrition, the North Carolina minister sowed seeds of hope in a food desert. 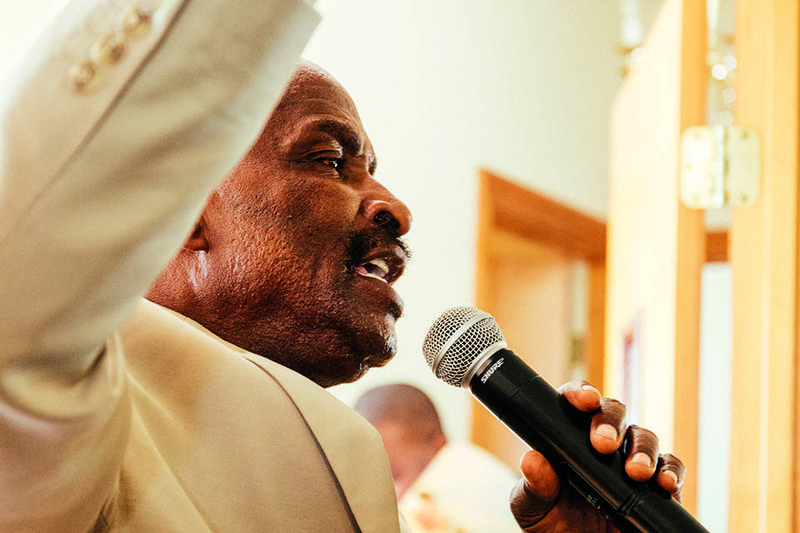 The Reverend Richard Joyner of Conetoe Chapel Missionary Baptist Church in Conetoe, NC, exhorts his congregants to strengthen their community. 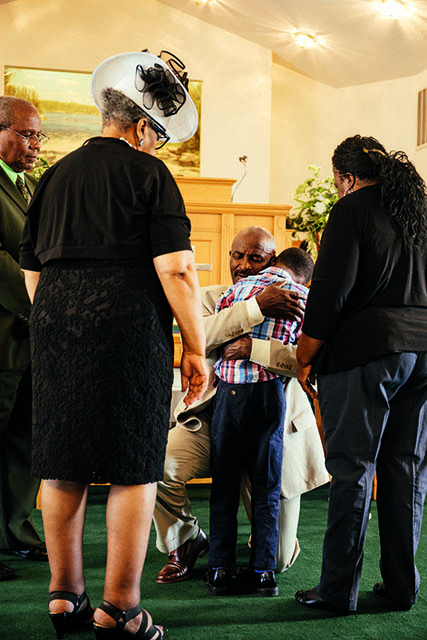 ABOUT A DECADE AGO, the Reverend Richard Joyner of Conetoe Chapel Missionary Baptist Church realized he was conducting funerals twice a month – a startling rhythm, given his town’s tiny population. A mere 300 souls call Conetoe (pronounced Ka-nee-ta) home. 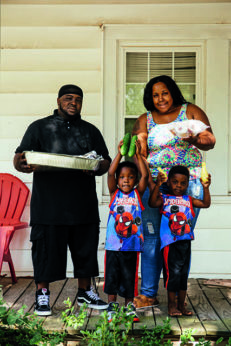 The predominantly African American hamlet is situated in North Carolina’s Edgecombe County, where a quarter of households live below the poverty line and heart disease kills more 20- to 39-year-olds than car accidents. “I’ve closed too many coffins on young people,” Joyner says. The pastor found it difficult to comfort the grieving – or contain his outrage: “How do you tell someone who’s just lost a child to poor nutrition that this was God’s plan when it was totally preventable? Who would hang out with that God?” Each Sunday, Joyner felt like a hypocrite, urging congregants to worship a deity he doubted. During the week, he was forced to confront the community’s health problems constantly as a hospital chaplain. After one particularly trying hospital shift, Joyner pulled his car over and began to pray. “I heard a voice saying, ‘Open your eyes and look around,’” the 64-year-old remembers. All he saw was farmland. His parents and grandparents had been share- croppers; his great-grandparents, slaves. 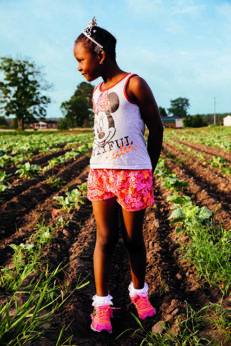 Until that moment, the fields blanketing Edgecombe County had represented not untapped opportunity but a painful reminder of the region’s racist past. Joyner started the Conetoe Family Life Center, as the farm is now called, over a decade ago. Z-niyah Sutton knows that a tiara makes weeding feel magical. Kamayshia Johnson holds her collard greens high. 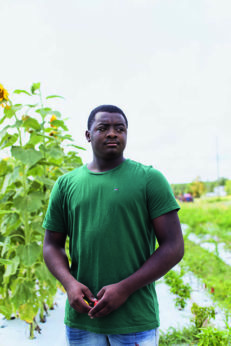 Tobias Hopkins, one of the center’s youth leaders, accepted a 2016 Local Food Hero award from the nonprofit Farm to Fork North Carolina. He empathized. Then again, he’d witnessed the satisfaction junior parishioners derived from the soil. Less encumbered by Conetoe’s complicated history, they were free to dig in the dirt. “They’re bringing food to people who need it,” Joyner says. “They enjoy the process. 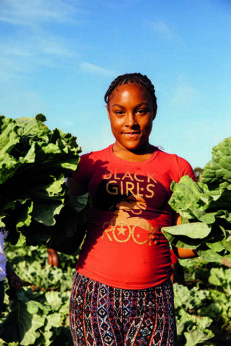 They’re playing out there.” Meanwhile, the various activities on the farm – preparing beds, selecting seeds, tending crops, selling produce, tracking digital data – impart valuable lessons in science, technology, economics, math, and nutrition. 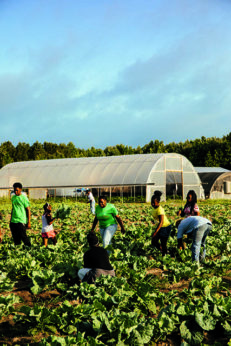 Joyner and young participants in the church’s farm program harvest collard greens destined for Edgecombe County’s hospital and school cateterias. 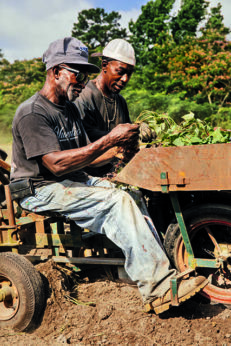 Reverend Joyner’s brother and nephew, Bennie (left) and Dante Joyner, plant sweet potatoes. Eric and Stacy Whitehead, with sons Ethan and Evan, cook meals for the needy using the farm’s produce. 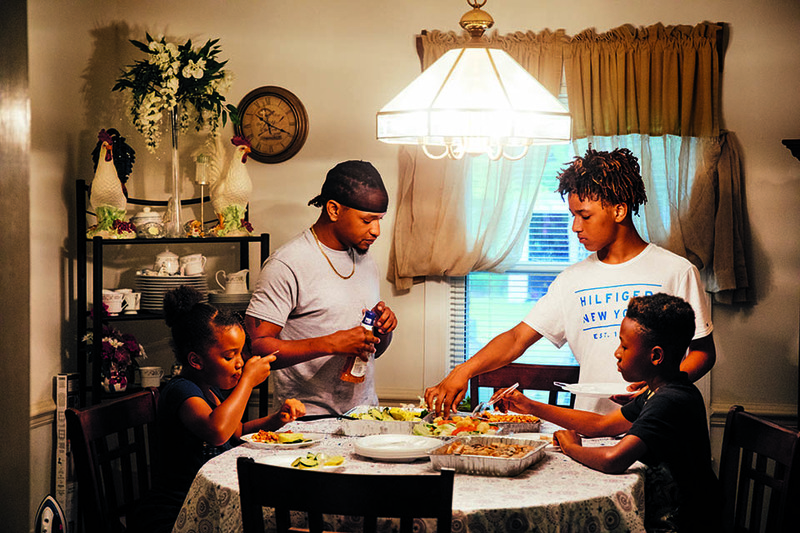 Steven Daniels (in gray shirt) and his children – (from left) Kesani Weathersbe, Keylen Harvey, and Zion Weathersbe – gather for a plant-based dinner. Today, the Conetoe Family Life Center – a name befitting the farm’s beyond-the-field ambitions – encompasses five different plots that together total 21 acres. 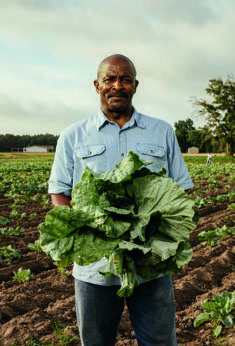 Vidant Edgecombe Hospital, the Edgecombe County school system, and a number of area restaurants pay in advance to secure salad greens, peppers, broccoli, strawberries, and other crops. The center’s 150 hives generate $10 jars of honey, as well as an alternative income stream from local farmers renting the pollinators. Proceeds are reinvested in the program. A single market-rate cabbage puts 10 cabbages on the tables of needy families. Approximately 25 percent of the produce is distributed among church members, with those who can afford to contribute subsidizing others who cannot. Health-related outreach continues year-round. The results are nothing short of dramatic. Since 2012, visits to Vidant’s emergency room – the de facto primary care clinic for underinsured parishioners – have decreased by 75 percent. Collectively, the 250-member congregation spends $4,000 less on medication per quarter than it did a decade ago. Joyner’s many accolades include the 2014 Purpose Prize (honoring the social work of citizens over 60) and a 2015 Hero salute from CNN. 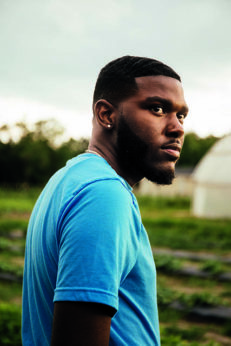 Last year, when he accepted a Local Food Hero award from the nonprofit Farm to Fork North Carolina, the pastor did not stand alone. Joyner greets parishioners after a Sunday worship service this past summer. Last September, I visited the Conetoe Family Life Center with a delegation from Princeton Theological Seminary and helped plant 10,000 cabbage and collard green seedlings. Three weeks later, on October 8, Hurricane Matthew hit the Carolinas. Conetoe and the neighboring towns of Tarboro and Princeville occupy low-lying, flood-prone terrain (shortcomings that explain the relative ease with which rich whites ceded this land to poor African Americans). The Tar River overflowed its banks and destroyed most of those plants, 100,000 others, plus 120 beehives and all the honey in them. Joyner was apoplectic. “I was not angry at God,” he clarifies. “I was angry at those of us who add to global warming. I was angry at people who will not take ownership.” For centuries, his community has wrestled with the compounding consequences of others’ sins, and he considers climate change another variation on that theme.